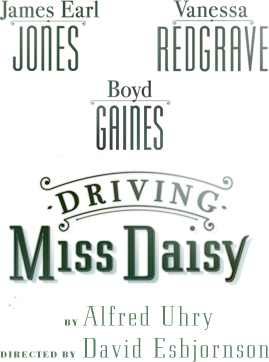 Starring Vanessa Redgrave, James Earl Jones, and Boyd Gaines, this is the first-ever Broadway production of Alfred Uhry’s iconic play. David Esbjornson directs. Sound design is by Christopher Cronin. The creative team also includes John Lee Beatty (scenic design), Jane Greenwood (costume design), Peter Kaczorowski (lighting design) and Wendall K. Harrington (projection design). October 2010. Tags: composer, consultant.